Pine Valley Golf Club will host the 94th George Arthur Crump Memorial Tournament Thursday, Sept 13 through Sunday the 16th. The public is invited to view the final match on Sunday, September 16th. The gates will open at approximately 12:45 pm. Parking and transportation arrangements are being handled by the Clementon Youth Athletic Association. Parking will be at the Dan Dougherty Sports Complex, Berlin Road Clementon, NJ 08021. (Nearest cross street :New Freedom Rd Clementon, NJ) Signs will be posted to direct you to the designated parking area. Please remember, Clementon Police will not allow any parking along East Atlantic Avenue between Berlin Road and the Club. There will be a fee of $25.00 per car which includes parking and the shuttle bus that will operate between the park and Pine Valley. There will also be a refreshment stand set up inside the front gate of the Club. All proceeds from the parking and refreshments will benefit the Clementon Youth Athletic Association. Cameras, video, photographs and cell phones will not be permitted. In case of inclement weather on the day of the event, please call (856) 783-3000 and select option 4. 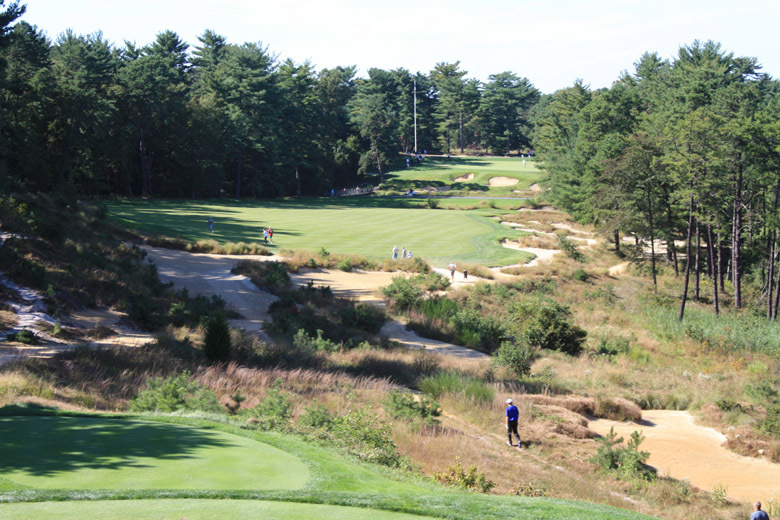 Here is a photographic tour-de-course of Pine Valley, courtesy of GolfClubAtlas. Here is a fresh story from AmateurGolf.com that posits that the Crump Cup might just be the best tournament in amateur golf.